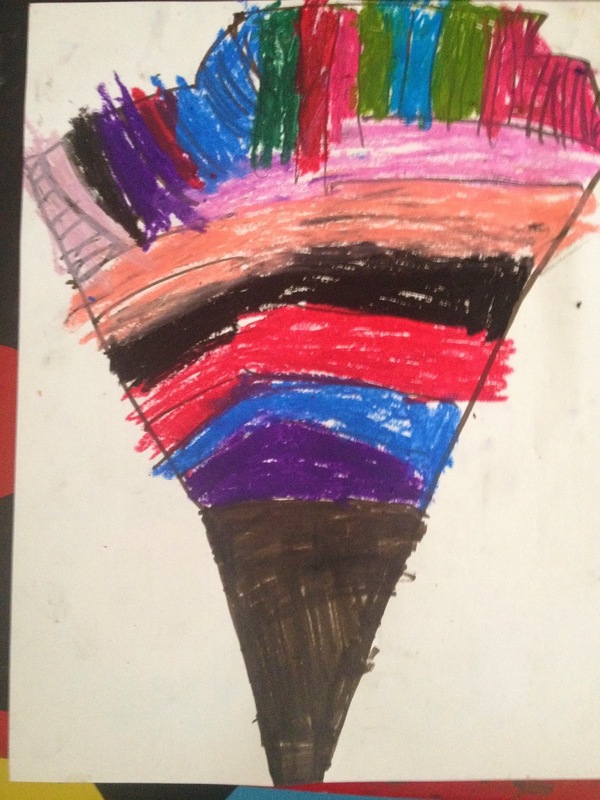 My kids love working with oil pastels! Here’s a fun and easy, if rather messy, art project for fall. We made tree silhouette pictures that looked like they should be made into stained glass windows! 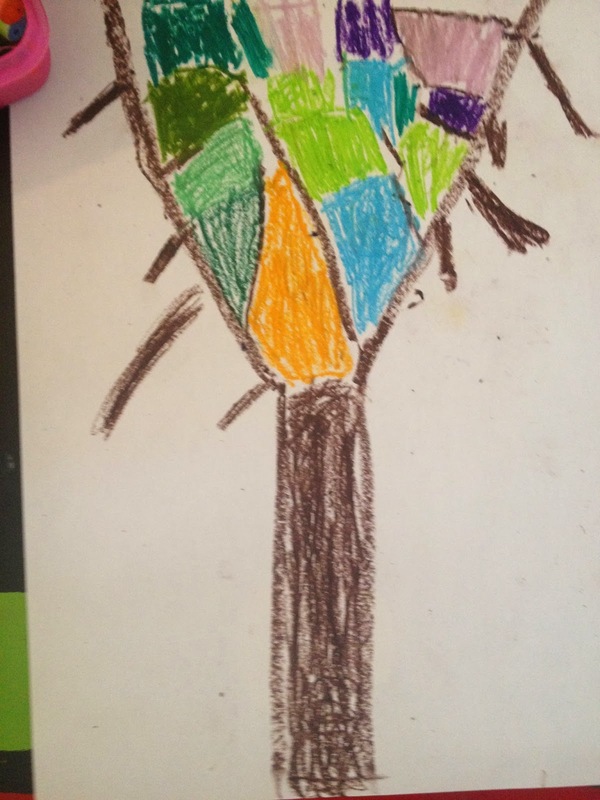 I had the kids draw a tree silhouette in the center of their paper with lots of branches extending to the edge. 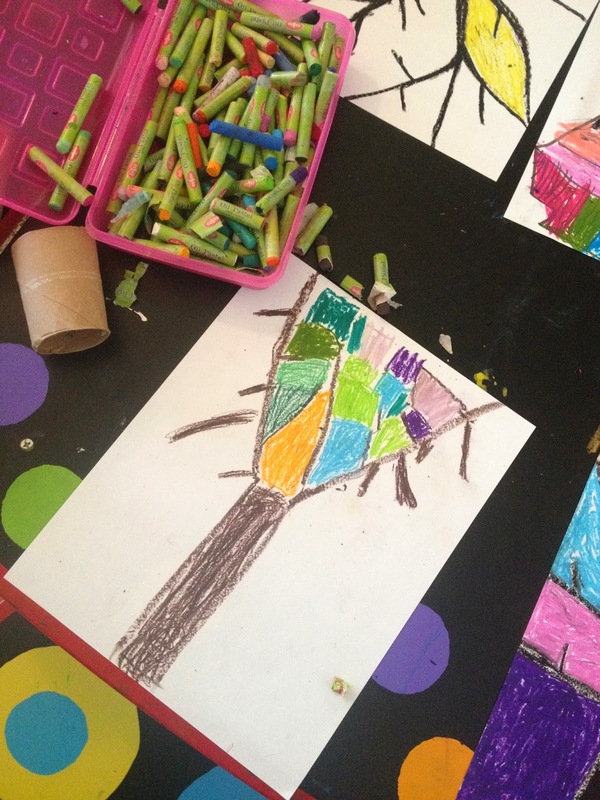 Then they chose bright colors to fill in each section around their tree. Note: The dark pastel will blend with the other colors if you are not careful to stay out of the darker color when you fill in around the tree. This was too hard for Bee so I had her draw her tree with marker and then fill in around it. This way she didn’t have to worry about the dark color blending with her other lighter colors. Your children drew very nice pictures. 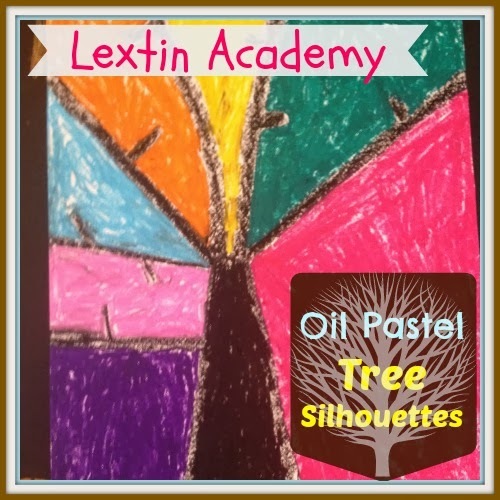 What brand of oil pastels do you use?